We landed about 11:00 am (5 am our time) in Madrid. It was a huge airport, in fact it was two airports. There was an underground railroad to go from one to the other. We had landed in the international part and then went to the main terminal. We had a five hour layover so we walked around, read and napped. About 2:00 we got a Big Mac (yes there was a McDonalds in the airport). The plane for Venice was a few minutes late..a little after 4:30. We sat side by side in the small plane. We arrived in Venice about 7:30. After retrieving our bags, we found our driver waiting for us to take us to Padua. We were happy folk to see that sign with my wife’s name on it, and the lovely Mercedes. Before we left home, we had hired a driver because we figured we would be very tired. We wanted to get there as quickly as possible, and didn’t want to take a chance on the bus. The driver found our hotel which was in the old historic section. 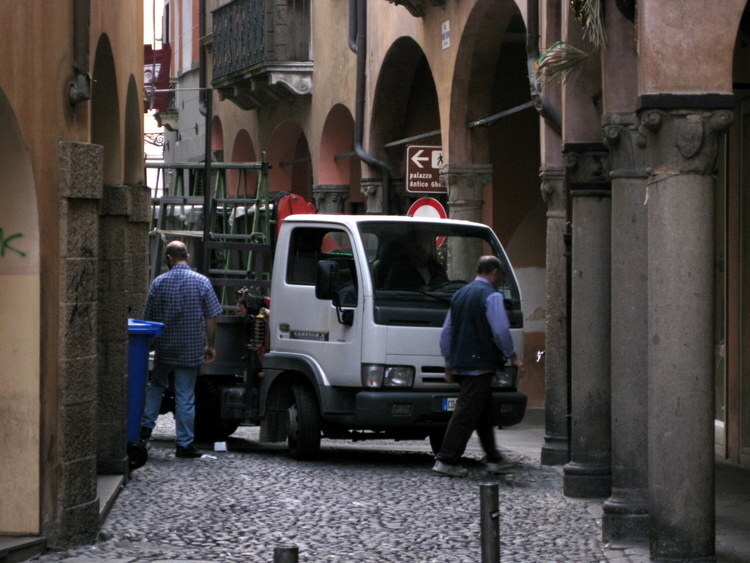 The streets were very narrow and he had a hard time getting the car around the corners. Our hotel, Hotel Majestic Toscanelli, was nice. It was on the corner of two very narrow streets. We were on the fifth floor with a view of roof tops. There was construction in the back courtyard, but we weren’t bothered by much noise. The room was basically small and dreary. We never figured out how to turn OFF the bathroom light. The hotel breakfasts were good, with lots of choices, including what ever kind of coffee you liked. After we got settled, we went out to find a place to eat. There was a student restaurant across the street. It had a food bar where you selected what you wanted and they brought it to you. Since it was our very first “try” at an Italian restaurant, this was perfect for us. We forgot to write down what we had to eat, but I think I had some pasta and a fish. We had our first sip of frizzante Vento wine, which was wonderful. We then walked around the neighborhood. There were a lot of college students milling around, near bars and café. We came upon the big square, The Palazzo della Ragione (more about this later). There was a big crowd of people and several bands playing. We walked back to hotel and went to bed….it had been a long day, having left home 26 hours before. After Iberia cancelled our original flight it was necessary to begin our trip three days earlier than expected. A visit to Padua was not in the original plan even though we have talked it about it. After reading more of the history, the art and church architecture that the city had to offer, we chose to spend the extra three days in Padua. 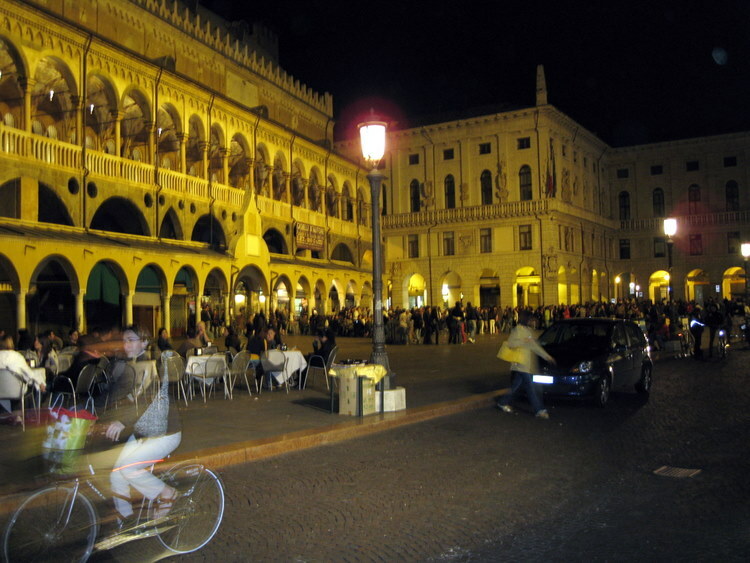 The English name is Padua and the Italians refer to the town as Padova. Padua has a long and interesting history. I will touch on some of the highlights. 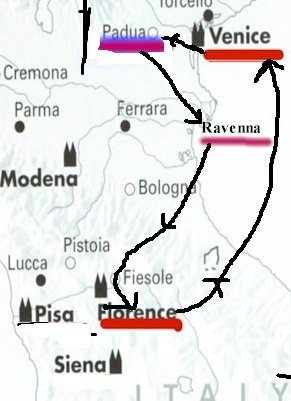 Legend has it that Antenore fled from his city, Troy, and landed on the Adriatic coast in about 1185 BC and then the Illyrians from the Veneto area, led by Antenore, founded Padua. Thanks to trade, mainly across the Adriatic Sea, Padua became very rich. After the Lombards invaded the town became less prosperous and in 602, the city was razed to the ground by Agilulfo. 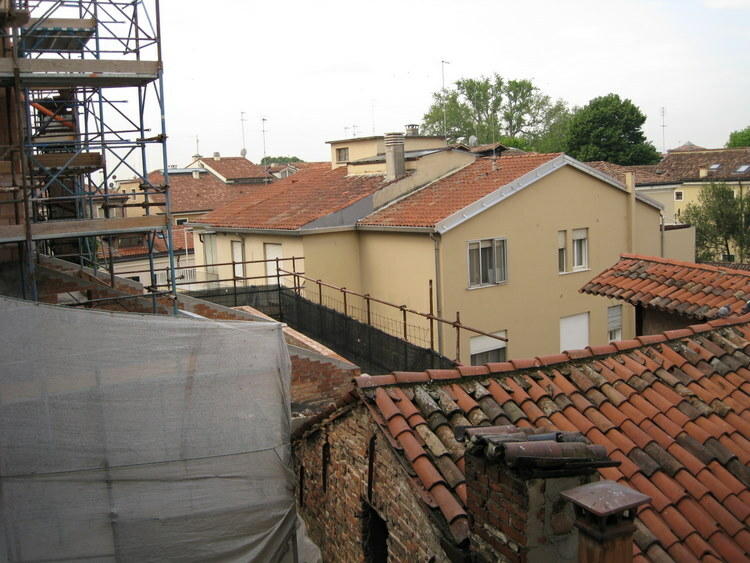 With the support and generous donations from the Carolingian kings, Padua gradually recovered. In 1405, the Venetians occupied Padua and the town became part of the Venetian Republic and remained that until 1797 when it became a republic under the French. By 1805 it became part of the Italian Kingdom. In 1866 the Veneto was annexed to Italy. I will discuss the various buildings and works of art as we encounter them.